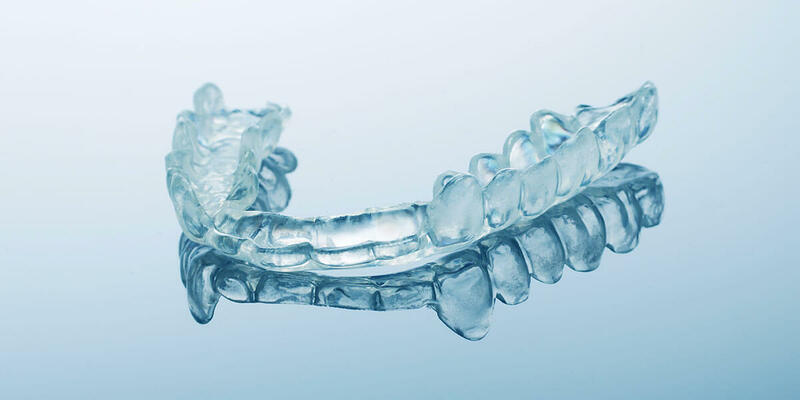 Custom Night Guards can help prevent the harmful effects of grinding your teeth while you sleep (Bruxism). We make custom-fitted night guards to alleviate stress on the temporal mandibular joint (TMJ) which may be resulting in soreness or pain. With all the stress that our joints can experience, patients may not realize that the soreness or pain they are experiencing in their jaw or ears may be due to stress placed on their Temporal Mandibular Joint. We fabricate custom appliances to help alleviate that stress and to prevent further damage and pain. Bruxism is a condition that causes clenching and/or grinding of teeth. This causes additional unnecessarily stress on tooth surfaces and can lead to TMJ pain. Often, people with bruxism are unaware that they are clenching or grinding their teeth, especially if it happens during sleep. A night guard is a removable acrylic appliance that can help provide relief from temporomandibular joint pain and other effects of grinding the teeth. The night guard is usually worn at night to prevent grinding of the teeth during sleep.